Soprano Carolyn Sampson and pianist Joseph Middleton (director of Leeds Lieder) gave a recital of songs by Schumann, RVW, Frank Bridge and William Walton at 22 Mansfield Street on Monday 20 November 2017 to help launch Leeds Lieder's 2018 programme. Carolyn Sampson and Joseph Middleton began their programme with a selection of lieder from Robert Schumann's Myrthen. Sampson and Middleton will be joined by tenor Julian Pregardien to perform the complete Myrthen (Robert Schumann's wedding present to his wife Clara) as the opening concert of Leeds Lieder on Thursday 19 April 2018. The programme on Monday was completed by a lovely selection of English lyrics, with RVW's Orpheus with his lute, and Silent noon, William Walton's Three Edith Sitwell Songs and Frank Bridge's When most I wink, Go not happy day, Adoration, Come to me in my dreams and Love went a-riding, a rare opportunity to hear a larger group of Bridge songs. 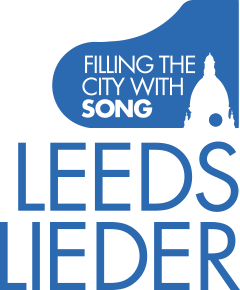 Leeds Lieder runs from 19 to 22 April 2018. Under the banner Poetry into Song the festival features an action packed four day with recitals by Julian van Mellaers (Kathleen Ferrier Award winner), Louise Alder, Kathryn Rudge, Matthew Rose, and Nick Pritchard, and concludes with bass-baritone Robert Holl and pianist Graham Johnson performing Schubert's Winterreise. The festival commission this year is a new song cycle by Daniel Kidane which will be premiered by tenor Nick Pritchard and pianist Ian Tindale. The festival will also be speed-dating (Joseph Middleton's description!) a group of local poets and composers from national conservatories to produce new works which will be showcased during the festival. The festival also features a full programme of talks and masterclasses. Joseph Middleton has been director of Leeds Lieder for three years, and has found it fascinating 'sitting on the other side of things', finding out how to fund raise, how to engage artists, and how to build a thread which runs through the concerts in the whole weekend. Whilst he passionately wants to keep art song alive, he feels that Londoners have a rather warped view of the medium because the Wigmore Hall features so much art song. But outside London, organisations like Leeds Lieder are rarer. Audience numbers are up for the festival, and the 2017 festival had a 36% increase in ticket sales over the previous year. The festival also does a lot of education work, not only working with schools on projects but taking the best artists into schools. And each year the culmination of the schools project is when all the children come to Leeds Town Hall to sing. 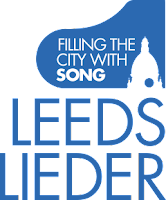 Full details from the Leeds Lieder website.